At Primera Plastics, quality is more than a priority – it is our livelihood. Our business is built on tight tolerances and product perfection, so our commitment to quality is part of our DNA. We adhere to AIAG’s Advanced Product Quality Planning (APQP) standards and guidelines to ensure gold standard results. Building on APQP, we’ve developed our own additional proprietary process that designs quality into our parts, processes and programs – with the ultimate goal of zero defects. Your project deserves a partner who understands how quality impacts every stage of the process — a partner who has built quality into every system, and who believes that quality is the foundation on which to build a business. That partner is Primera. Primera’s expert launch team: a Program Manager, Quality Engineer and Process Engineer lead the communication and new tool launches through our Advanced Product Quality Planning (APQP) process. All aspects are reviewed and finalized, data and outputs evaluated. This is go time. Find out how you can improve your quality metrics with Primera processes in place to make consistency the standard. 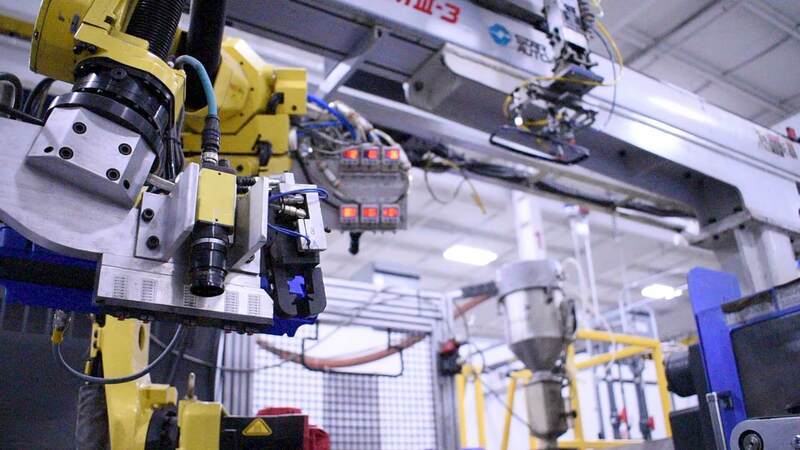 Primera Plastics is a world-class plastic injection molding company that maintains tight tolerances for the most demanding plastic injection-molded parts. We use Statistical Process Controls (SPC) and Scientific Molding Technology to ensure that our products are produced to the most exacting specifications. Our RJG-certified engineers and technicians understand plastic molding and offer their expertise and experience for every project. Our climate-controlled quality testing lab ensures consistent temperature and humidity. Your tool designs and client production tracking data are available at any time. Accuracy doesn’t only involve measurements. It also comes from excellent processes on machines that are updated regularly and highly-maintained. We operate a variety of presses and machines that deliver the highest quality components ranging from 40T – 720T+. When quality marks aren’t being met, the pressure to move your project becomes immediate. At Primera, we specialize in tooling takeover and mold transfer services. Our expertise takes the frustration and worry out of your project, eliminates lag time and ensures your projects meet more than their deadline – they meet your high standards. We adhere to the highest safety standards to guarantee the safety of our employees and all those who enter our production facilities. All OSHA guidelines are strictly followed and for all new automation processes and builds – worker safety is a top priority. We also know that safety standards guard against unseen delays and costs. While we commit to processes that preserve the health and well-being of our workers, we understand that safety also helps the bottom line. Surely, that’s a win-win. Many companies grow in volume, but don’t prepare their workforce for the changing needs. At Primera Plastics, we are committed to providing our employees with extensive training and development to meet our customers’ demands. We also make sure our new hires possess non-trade skills like pride in work, ownership mentality and professionalism. Our employees use visual controls, standard operating procedures (SOP) and documented process monitoring for the highest level of quality in all of our programs. Don't have A Project Ready To Go Right Away? Ready To Start A Project With Primera Plastics?